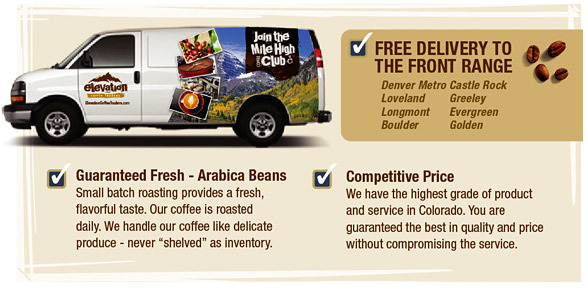 Elevate your Coffee Experience — Roasted Daily in the Mile High City! Enjoy Colorado's Award-Winning Coffee at these fine establishments, coffee shops and service providers from Coast to Coast. If you're not serving Elevation Coffee - contact us to see how true gourmet coffee increases the value of your menu offerings and customer satisfaction.